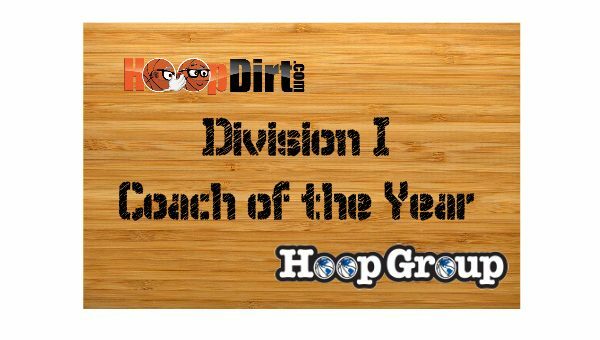 Northwestern University Head Basketball Coach Chris Collins has been named as the HoopDirt.com Division I Coach of the Year presented by The Hoop Group for the 2016-17 college basketball season. Collins qualified for the award by being named as the HoopDirt.com/Hoop Group Coach of the Week for Week 10 of the season. Collins led the Wildcats to their first-ever NCAA Tournament appearance and set a program record with twenty-four wins. Northwestern won their March Madness debut by defeating Vanderbilt 68-66 before bowing to Gonzaga 79-73 in the round of 32. Along the way to the tournament, NU won 10 Big Ten games, the most in the Collins era, and advanced to the Big Ten semi-finals for the first time in history. Collins squad opened the season by going 12-2, and finished the year with a 14-4 record at Welsh-Ryan Arena. In his four seasons at Northwestern, the former Duke standout has compiled a 73-60 record which now includes back-to-back seasons of at least twenty wins. The Wildcats have also increased their win total in each of his four seasons. Collins spent 13-seasons as an assistant to Mike Krzyzewski at Duke where he was part of National Championship squads in 2001 and 2010. Collins joins four other 2016-17 HoopDirt.com/Hoop Group Coach of the Year Winners; DII Ben McCollum (Northwest Missouri), DIII Stephen Brennan (Babson), NAIA Kevin Burton (Union), and JUCO Todd Lorensen (Soutwestern CC). HoopDirt.com is the largest website in the country dedicated specifically to college basketball coaching news, jobs, and rumors at all levels. HoopDirt.com brings a unique insider perspective to the world of college basketball coaching – it was founded by college coaches as a way to help the college basketball community stay informed of what is going on in the coaching profession. HoopDirt.com currently has a Twitter following of over 27,000, and receives nearly three-million page views per month.